HoustonProperties > Paige Martin Named "Top Realtor" > Paige Martin Rated As "Houston's Best Realtor"
The Houston Chronicle has released its “Top Houston Real Estate Agents” ranking Paige Martin as one of “Top 40 Houston Realtors” from over 25,000 real estate agents within the greater Houston region. 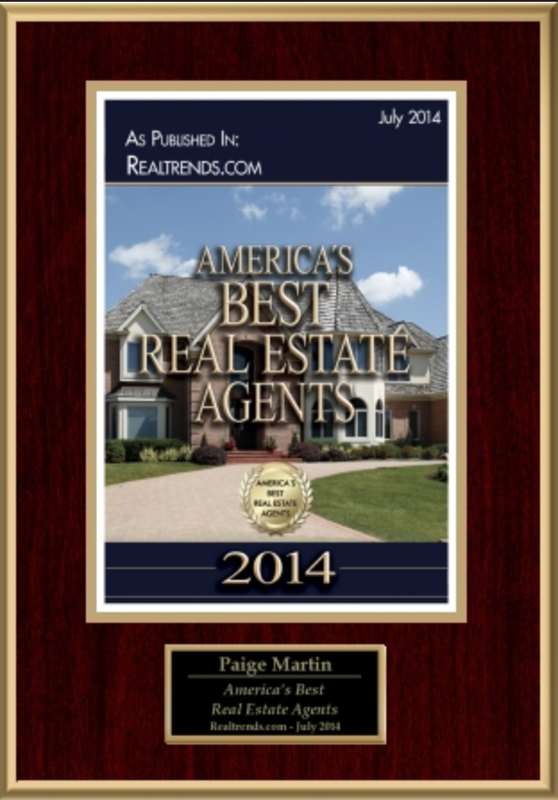 In addition, Realtrends.com released its nationwide Realtor ranking that lists Paige Martin as “One of America’s Best Real Estate Agents”. 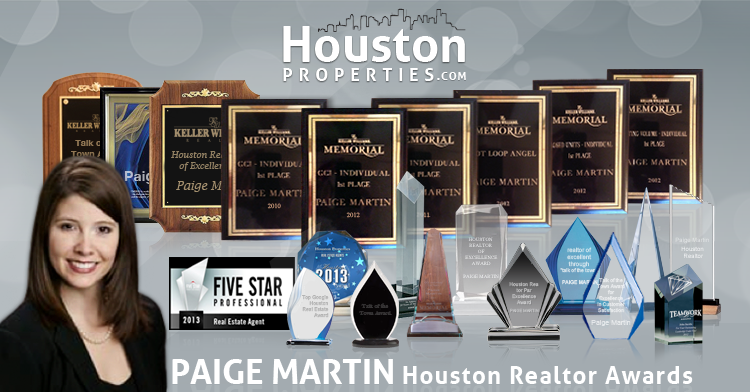 Paige was the single highest ranked realtor within the Keller Williams Memorial Houston office. Paige Martin has also been featured on TV and in dozens of publications, including: Fox News in the Morning, Houston Business Journal, the Houston Chronicle, Downtown, Houston Magazine, and Texas Monthly Magazine. Paige was named the #1 Ranked Individual Agent in the Keller Williams Memorial Office for 2013, 2012, 2011 and 2010. She has been a consistent top producing agent, with an ongoing seven-year roll for receiving awards due to her production levels. PaigeMartin is a customer-focused Houston Realtor’ (member of the National Association of Realtors) dedicated to providing exceptional service. She guides clients through all aspects of learning about Houston, relocating to Houston, buying a home, buying a highrise or condo, tips for selling your home and ensuring that your transaction goes as seamlessly as possible.